Greetings, and thanks for subscribing. Welcome to the 1st installment of the Cell Tower Insider. I'm just passionate about developing and leasing cell towers. Please bear with me and thanks again. The Cell Tower Insider is the only known cell tower newsletter (E-zine) on the internet as far as we know. The focus of the newsletter will reflect the message of our company and what we do. 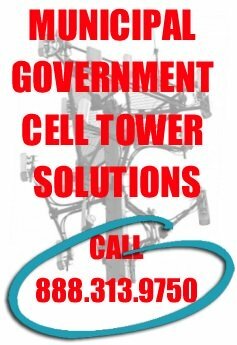 AirWave Telecom Property Management markets cell sites and we do this by partnering with property owners. Personally, I like the green Benjamin Franklin's that are generated by cell tower leases. As long as we are on the topic of "Green", I'll paraphrase a friend who has a cell tower on one of his commercial properties. He told me a funny story about when he has driving his boys to soccer, and he passed up a big ugly green cell tower mounted in a parking lot of a diner that had no trees surrounding it for at least 100 yards in any direction. "Kids..." he said, "Look at that big green tree." "Dad, that's not a tree, it's a cell tower." one of his boys replied. "Not bad for a 6 year-old," he thought. "No, it's definitely not a cell tower, it's a tree," he repeated. His son, in frustration shook his head and said, "OK dad, it's a tree... a money tree." At Airwave Telecom Property Management, we'd love to help you to get your own wireless "money tree" built on your site. Please go to the Contact Form on our site and tell us about your property. Thanks again for taking the time to read our introductory issue and we look forward to many more to come.